Branded Mints are the perfect addition to your Promotional Merchandise range and are a quick and effective method of distributing your name to clients everywhere. 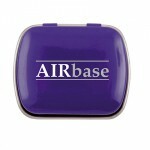 Promotional Mints are a widley used promotional method, perfect for your next corporate event. With Magellan World you can choose from a wide range of Promotional Biscuits & Cakes, Promotional Chocolate, Branded Fruit and Nuts, Branded Mints and Promotional Sweets, the perfect way to endorse your company. 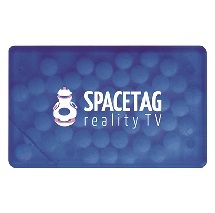 The Promotional Mint Card is an easy way for your clients to carry your logo around. The Click Tin is a handy device that will be used when the mints are all gone. 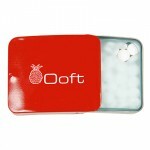 The Flat Tin of Mints is a cool way to promote your business. Magellans endless pursuit of the best prices for branded mints in the UK make us confident that you will not get a better product at a better price. 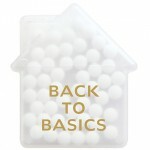 From your initial enquiry through to receiving your professionally branded mints. The Magellan team have over 20 years of expertise within the merchandise industry. 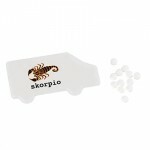 We can guide you through each stage of your order and can recommend the right branded mints for your event or promotion. 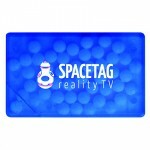 Promotional Mint Card with your logo and name printed onto the side.Corporate Mint, Branded Mint Ca.. 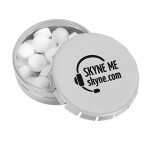 Promotional Click Tin of Mints-Full Colour, with your logo printed on the top of the tin.Branded Mi.. 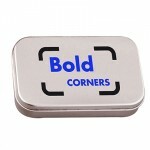 Promotional Flat Tin Mints, with your logo printed on the top of the metal tin.Custom Tin, Branded .. 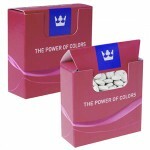 Promotional Sweet Box With Mints with your logo printed onto the side of the box.The cardboard box .. 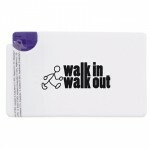 Promotional Deluxe Mint Card with your logo and name printed onto the side.Corporate Mint, Branded .. 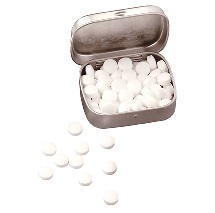 Promotional Large Hinged Tin of Mints, with your company logo printed onto the top of the lid.Custo.. 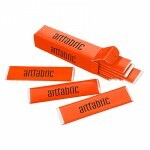 Promotional Mint Tube with your logo printed on the side.Branded Mint, Corporate Mint tube is availa.. 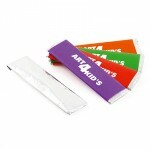 Promotional Chewing Gum-Single Leaf with your logo printed onto the top of the gum strip.Branded Gu.. 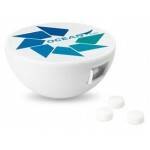 Promotional Mini Hinged Tin of Mints, with your company logo printed onto the top of the lid.Corpor.. 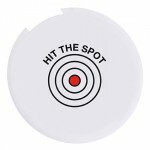 Promotional T-Shirt Shaped Mint Dispenser with your logo printed on the side.Branded Mints, Corporat.. 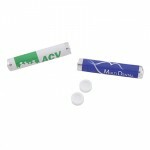 Promotional Van Mint Dispenser, with your logo printed on the side.Branded Mint, Corporate Mint Van.. 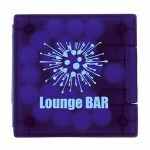 Promotional House Shaped Mint Dispenser with your logo printed onto the side.Branded Mints, Corpora.. 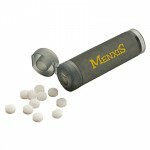 Promotional Round Mint Dispenser with your logo printed on the top.Branded Mints, Corporate Mints R.. 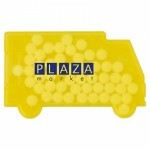 Promotional Truck Shaped Mint Dispenser with your branded logo on the side.Branded Mint, Corporate .. Promotional Mini Mint Card with your logo and name printed onto the side.Corporate Mint, Branded Mi.. 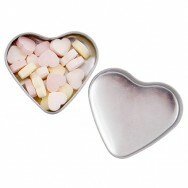 Promotional Click Tin of Mints-Half Colour with your logo printed onto the lid.Branded Mints, Corpo.. 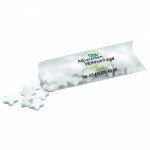 Promotional Roll of Dextrose Mints with your logo printed onto the paper sleeve.There are three var.. 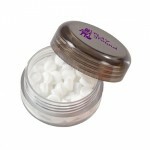 Branded House shaped mint container in white with approximately 50 mints.Certified and compliant wit.. 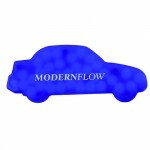 Promotional Car Shaped Mint Dispenser with your logo and name printed on the side.Branded Mints, Co.. 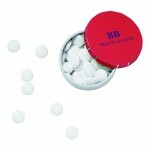 Promotional Round Plastic Container of Mints, with your logo printed onto the lid of the screw cont.. Promotional Sliding Tin of Extra Strong Mints, with your company logo printed on the top.Branded Mi.. 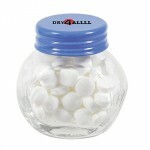 Promotional Small Glass Jar of Mints, mint candy, with your logo printed onto the top of the m.. 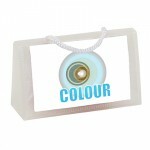 Promotional Bag With Mints With Business Card Slot, bag contains a business card pocket and a separ..